Spinning and Bugged after the page break. The complete “Air Mater” short is one of the extras available on the Blu-ray Combo Pack, Blu-ray 3D, DVD and Movie Download release of Cars 2, in stores Nov 1. In theaters June 24, 2011. Cars 2 races into theaters across North America on June 24, 2011. Check out these four illustrated Cars 2 posters created by the folks at Pixar. 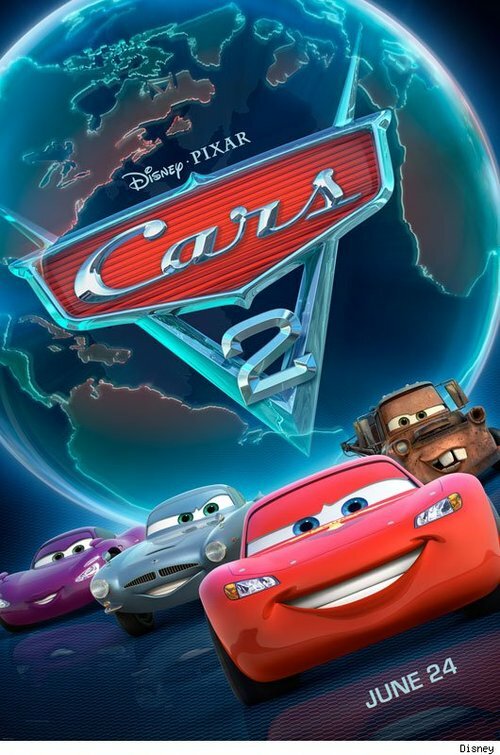 Cars 2 arrives in theaters across North America on June 24, 2011. In UK theaters July 22, 2011. In North American theaters June 24, 2011. 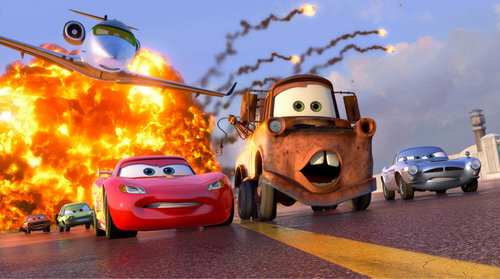 Cars 2 will race into theaters nationwide on June 24, 2011. Star racecar Lightning McQueen (voice of Owen Wilson) and the incomparable tow truck Mater (voice of Larry the Cable Guy) take their friendship to exciting new places in â€œCars 2â€ when they head overseas to compete in the first-ever World Grand Prix to determine the worldâ€™s fastest car. But the road to the championship is filled with plenty of potholes, detours and hilarious surprises when Mater gets caught up in an intriguing adventure of his own: international espionage. 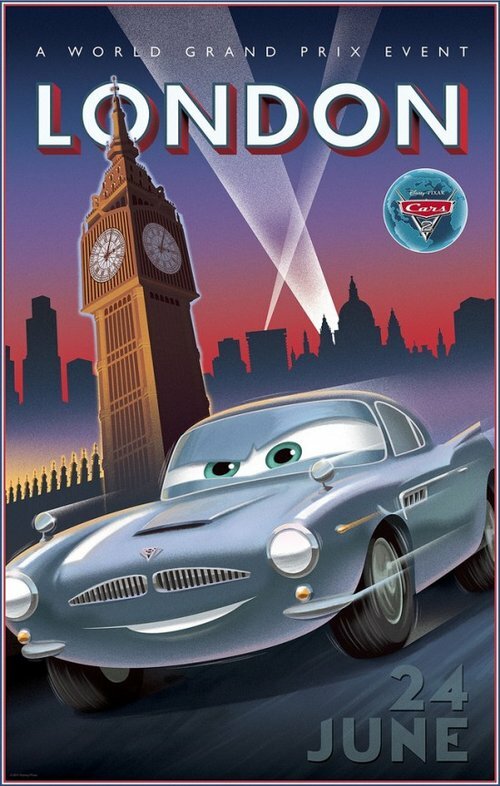 Torn between assisting Lightning McQueen in the high-profile race and towing the line in a top-secret spy mission, Materâ€™s action-packed journey leads him on an explosive chase through the streets of Japan and Europe, trailed by his friends and watched by the whole world. Adding to the fast-paced fun is a colorful new all-car cast that includes secret agents, menacing villains and international racing competitors. Check out the poster after the break.